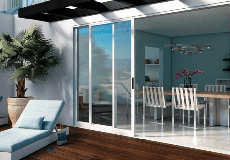 Valley View Window & Door has quickly established itself as one of the few premier window distributors in Arizona. Located strategically in the heart of the SE Valley, and with our fleet of delivery vehicles, we are able to service all customers in the Phoenix Metro area and beyond. The dedicated Sales Team serves up over a combined 100 years of building material experience to ensure you are getting top notch assistance. Our ability to sell and distribute windows goes beyond most others due to our joint affiliation with the Door Mill, a high end custom door shop that has been in business for over 30 years servicing consumers and contractors with door related needs. Our high end showroom is open to the public and acts as a great forum to meet and discuss window, door, trim, and finish hardware all in one place. The Sales staff is well versed in product solutions, design consultation, value engineering, and can provide plan take-offs as well.